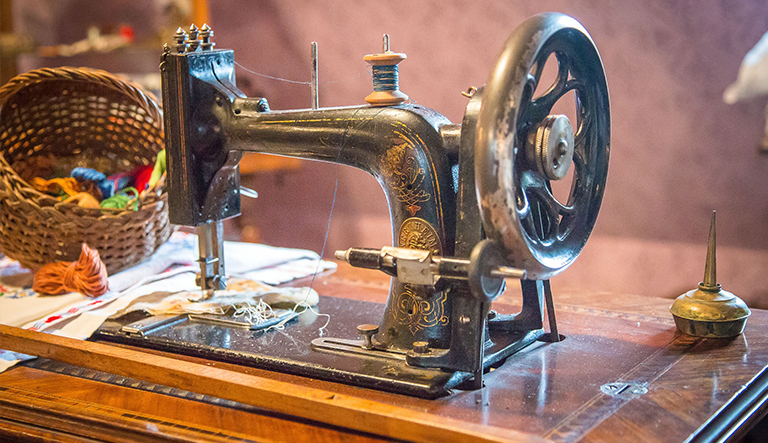 Singer sewing machines have a long and rich history, dating as far back as 1851. 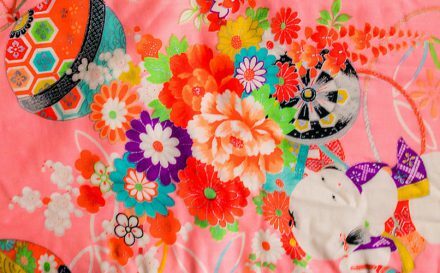 These beautiful machines have evolved over the years but are still standing the test of time, with some of the older models being highly sought after by collectors and sewing enthusiasts. If you’ve nabbed one of these beautiful bargains at a local market, auction or car boot sale, it’s worth identifying the age and model of your machine to see if you’ve managed to pick up a rare antique. Whether you want to pick up one of your own older models because you love the history, aesthetic or nostalgia of the piece, they’re easily still found on the market if you know what you’re looking for. So, how old is my Singer sewing machine? To identify when a model was made, you need to first find the Singer sewing machine serial number. The number can be found near the on/off switch on newer machines, and on the front panel or on a small plate on older machines. Why do Singer’s have Serial Numbers? 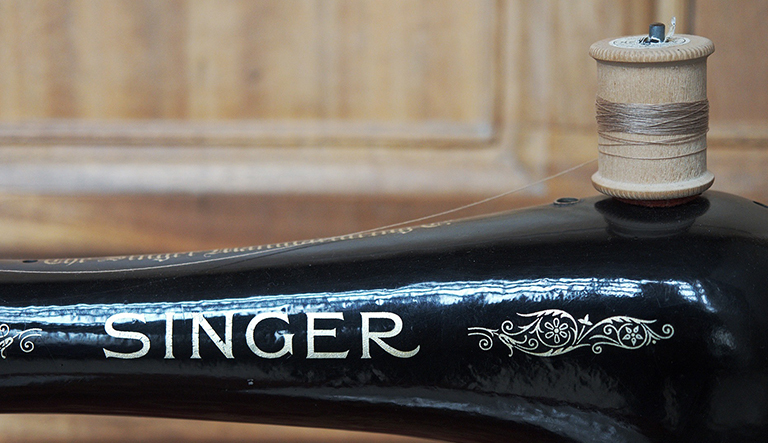 Singer’s have always been marked with serial numbers ever since production began, with each number corresponding to a model from a certain date, and even location. All Singer sewing machines up until 1900 have no letter prefix, and came from all around the world. The Singer company eventually managed their production from all their factories to match up with the serial number flow. The first thing to look for if you’re after a collector’s Singer machine, is the age of the item. Over 100 years old is considered an antique, and younger than that is ‘vintage’. By matching the serial number to the corresponding date, you can determine the exact age of the machine. Quality also plays an important part in the value of the model. As expected, high quality, functioning machines are more sought after than damaged ones and tend to be a better option. Machines that don’t function at all may not be worth collecting, but if you find a damaged machine that can be repaired with new parts it may still be a worthwhile purchase. From a collector’s viewpoint, there are a select amount which are valuable enough to be classed as real collectors’ items. This includes any of the machines that come with their own table, blacksides which have a black instead of polished finish, and the vintage 221 and 222 Featherweight models. These rare models can fetch around £500 or even more, if they’re in perfect working order. The Singer brand is synonymous with being the best in the business. After opening a local factory in Glasgow, in 1867, the machines were flying off the shelves. Popularity only grew and factories opened worldwide. 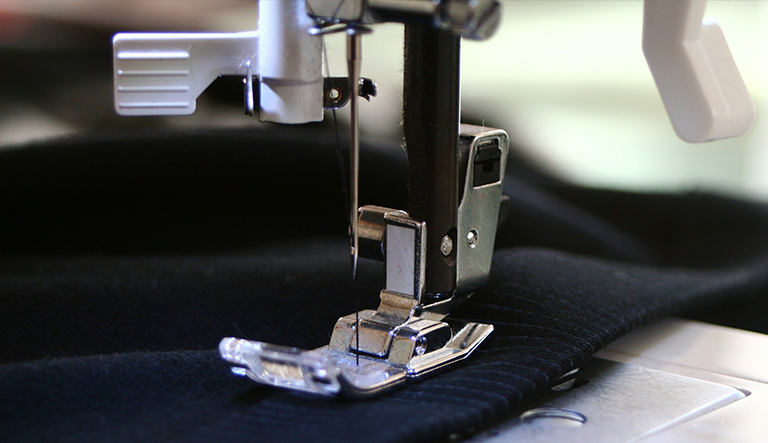 By World War 2, the Singers were actually producing guns and bullets as a priority to sewing machines – which they only continued making in their spare time. Isaac Singer was the founder of the company, and was the first to create treadle powered, belt powdered and eventually electricity powered machines. Isaac Singer boasts a unique story as detailed here, and was a pioneer of the sewing industry. Funnily enough, with an ‘enthusiastic’ approach to women, Isaac even hired female demonstrators to disprove any ideas that women were too incompetent to work a machine. This enthusiastic approach to women continued into his private life, where he had a total of 24 children! Singer treadle sewing machines are one of the most popular Singer antiques, and are still regularly found in auctions and antique dealers today. These older machines were made of heavy duty components and replaceable parts so they are still used, and are incredibly long-lasting. A treadle machine is one powered by a foot pedal, and runs mechanically by the user pushing back and forth on the pedal. A reliable, eco-friendly machine, many sewers still prefer to use this type of model today. The design has naturally changed over the years with advances in technology. Electric motors and bolt-on lights were introduced to the machines in 1921, and the treadle tables gradually faded away to chunky box bottoms in the 1930s. Use of new materials throughout the 20th century made the design sleeker and lighter, and allowed for new functions to be introduced. Today’s machine can cost from as little as £85 up to £1300, depending on the functions and type of machine. But why is Singer so popular? One of the reasons is not only due to the rich history, but the fact that they cater to all sewing needs. 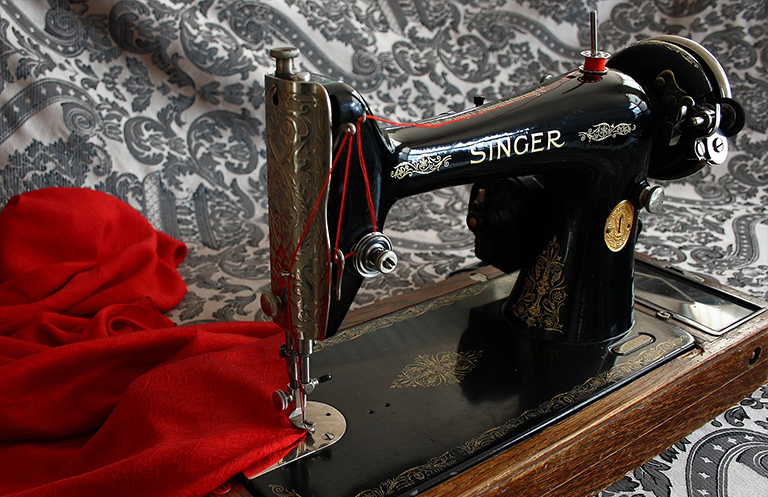 Singer has a reputation for creating innovative machines and were the first to ever introduce electric, zigzag and electronic machines which were targeted to the home sewing market. 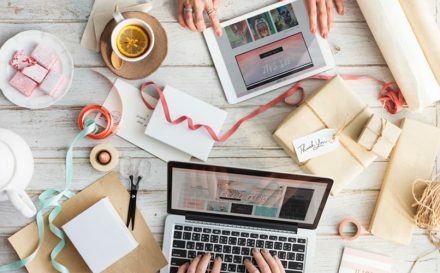 Affordable machines with a multitude of features which are readily available, are just some of the reasons they’re likely the most popular brand out there. 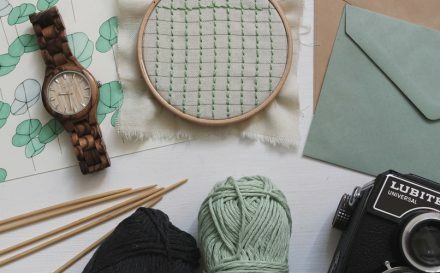 Whether you’re a beginner or a professional, want an electronic or a mechanical machine, work with embroidery or patchwork, there’s something for everyone. Every model has a unique range of useful functions such as automatic needle threaders and even LCD screens, which is part of what makes the brand the go-to for sewers. How old is your new (old) Singer machine? 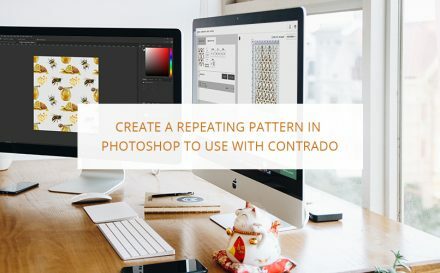 Don’t forget to match it to our chart and discover its age! Explore over hundred materials with your very own fabric swatch pack, perfect to work with your Singer. Understand the texture, strength and finish of each of the fabrics by taking a hands on approach.